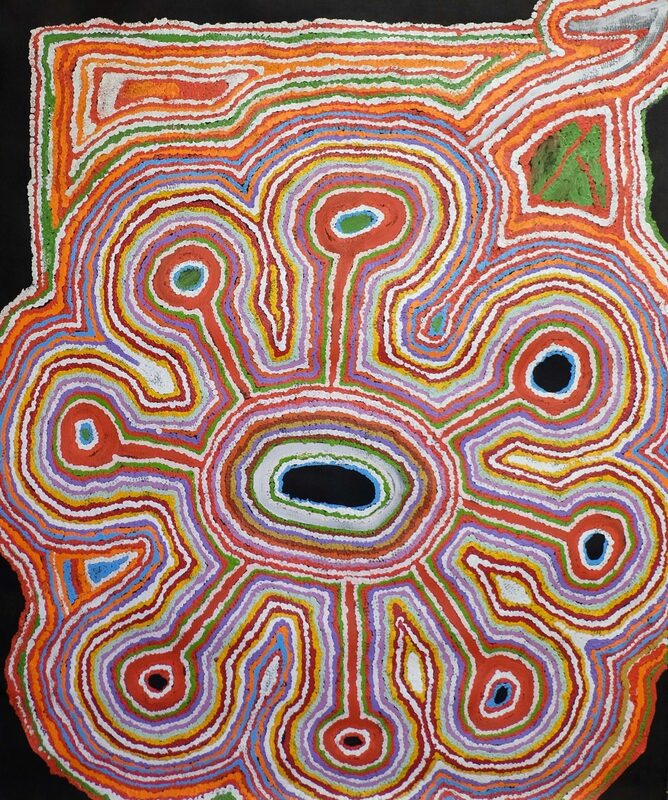 Septuagenarian Jimmy Donegan first saw the ocean in 2010 when travelling to Darwin for the 27th Telstra National Aboriginal and Torres Strait Island Art Awards. 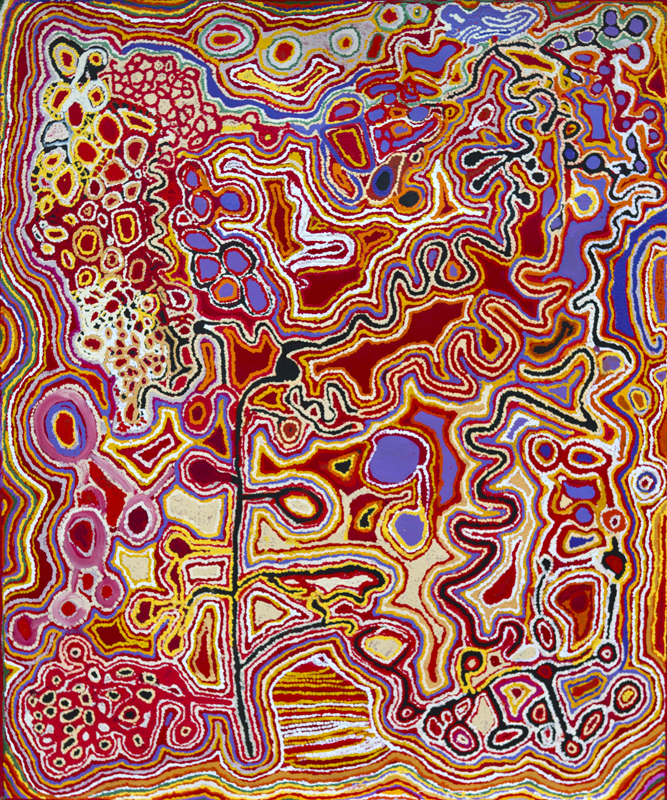 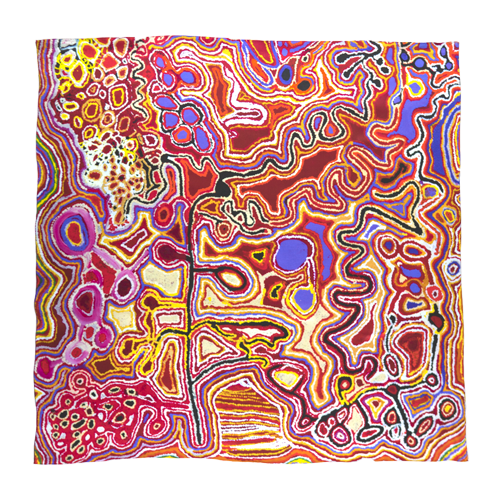 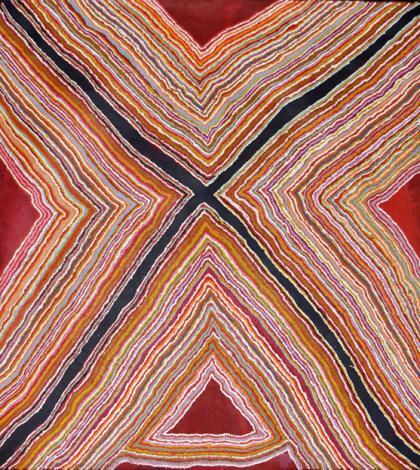 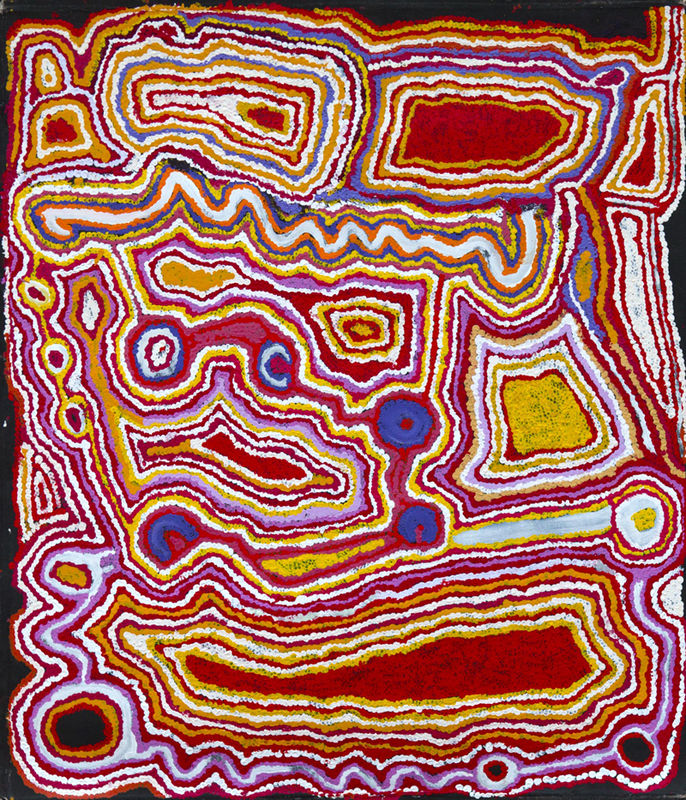 He returned to the small community of Kalka in the Anangu Pitjantjatjara Yankunytjatjara (APY) lands having won the coveted Telstra art award as well as the general painting category award, the first artist to win both at the same time. 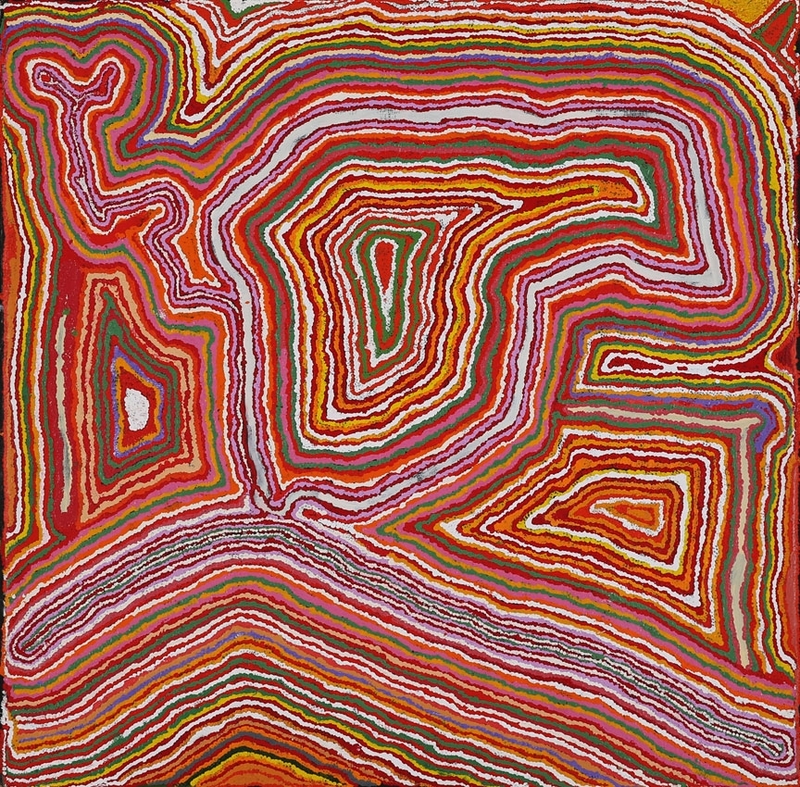 Born and raised in remote Western Australia, Donegan laboured as a stockman, craftsman, and senior lawman, and in the 1970s helped organise the outstations movement. 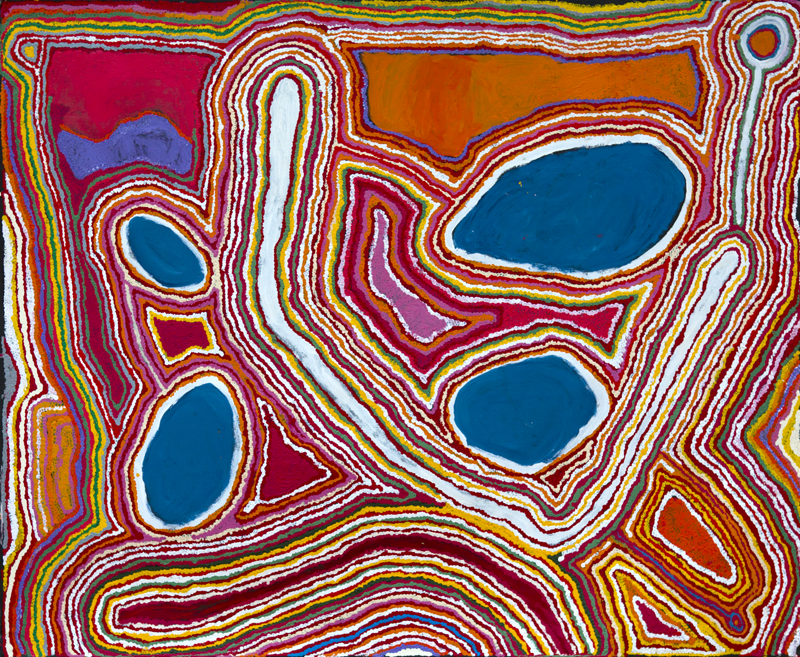 Since beginning to paint in 2000, the artist has become renown nationally and abroad for his rich and vivid compositions of his cultural inheritance. 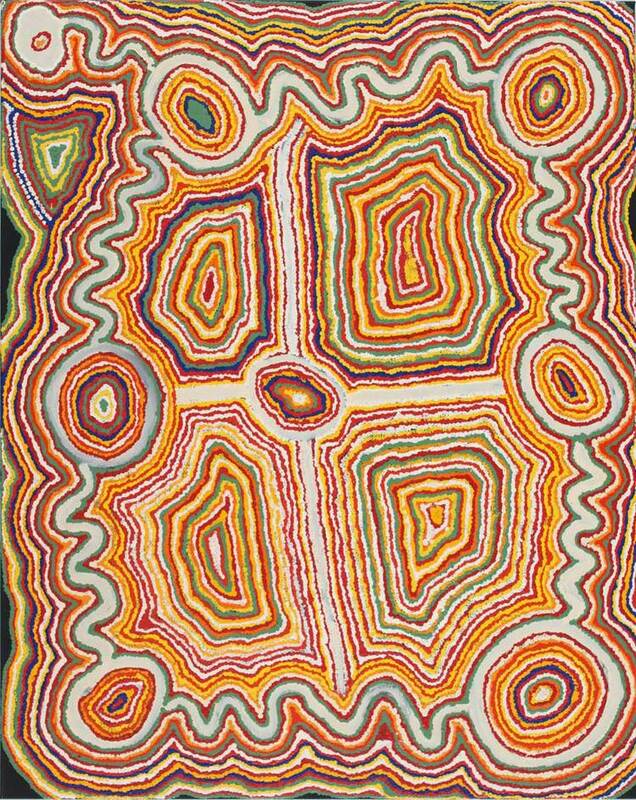 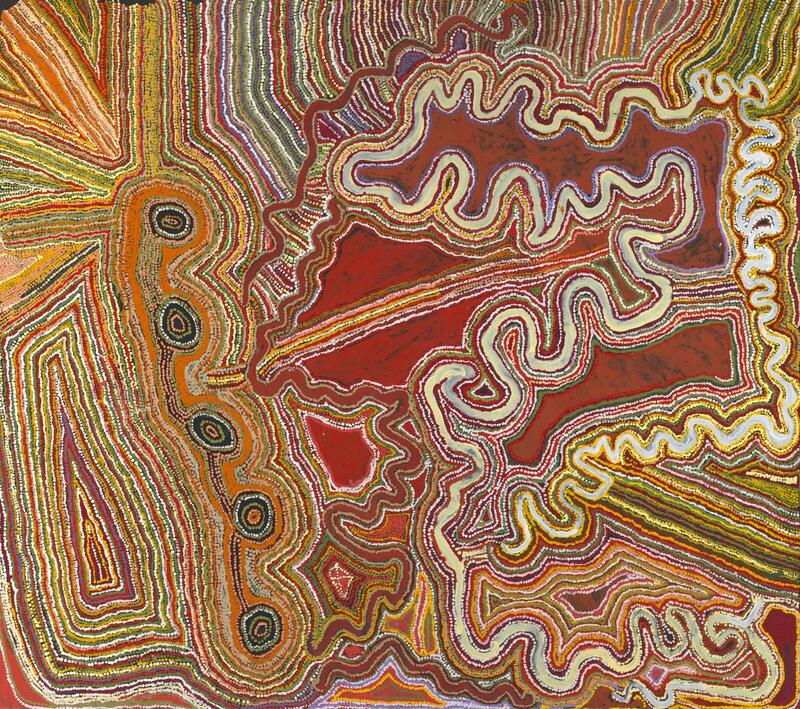 He now paints for Ninuku Arts in the APY Lands of South Australia.